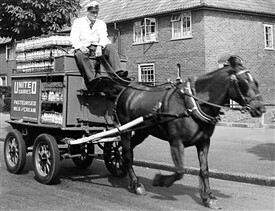 Deliveries around the estate continued to be by horse and van until the 1950s. Barry Hackett remembers helping on a Saturday morning. I used to help Mack the milkman and Mack the milkman had got a horse and cart. I used to give him a hand - used to pick up the empty bottles and all this business. 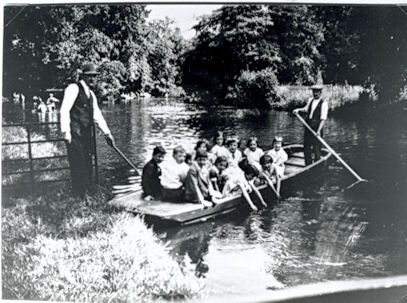 One of the great things was the stables where they was kept was at Morden. When we used to do the round with the milkman, he used to finish at the top of Shapp Crescent and then I'd stay on the cart all the way down to Morden and then we would take the horse out of the cart and bed the horse down and that, and then you used to walk home. I used to get coppers helping him out for the Saturday morning . That was probably my very, very first job. It sounds peaceful, but there could be drawbacks. This article is from The Wallington and Carshalton Times, 1st October 1936. Back in 1946 and '47 I helped George,... who worked for Sutton Creameries. We had no horse and cart but a heavy three-wheeled cart which we pushed round part of the estate...Stavordale Rd., St Benets Grove, Kelso etc. in that area. In the bad winter of '47 pushing the cart was impossible so we had to pull the milk on a sledge! It was really difficult and took hours. I forget what George paid me but it couldn't have been much. Soon after, unsure when...Sutton Creameries changed over to electric carts which you 'drove' walking in front holding the handle with which you stopped and started the cart. It would only go at walking pace but it was a major improvement on the old cart. We used to live at 27 Evesham Road, Morden - I think Mac the Milk's surname was McCready and his horse was Tom. My mum Eva used to feed him an apple and bowl of water every morning and my dad Wally Englefield who was a member of Morden Bowling Club would collect the manure from 50 yards up the road and say 'that's mine - we fed him!!' We had the best rhubarb in the road. 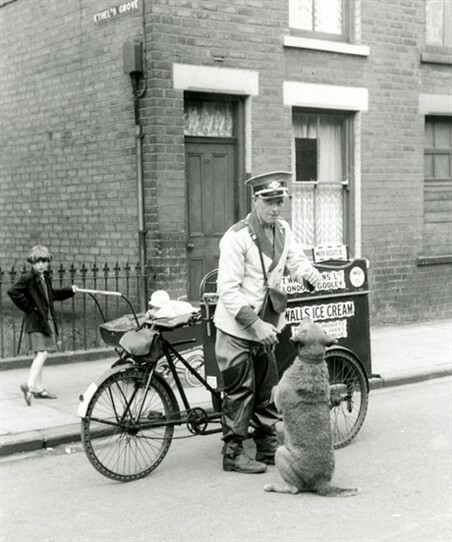 I loved Saturday mornings when the milkman used to come round to collect the money for the week's milk delivery. I used to be allowed on the cart and had to look after the horse and cart when the milkman and the older boy used to go into the pub at the Circle for "refreshments". I used to get a lemonade and a packet of crisps! Mac the milkman was my Dad Bert Mccree, his last horse was called Tom. United Dairies went over to electric floats around 1957.When he retired he moved down here to Cornwall. 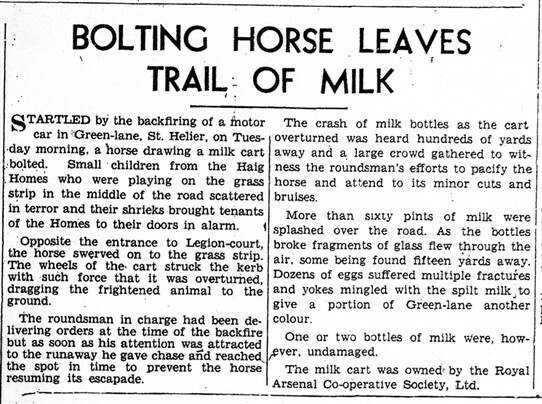 I lived in Malmesbury Road and our milkman with his horse and cart was Jack Port from United Dairies in Morden. I went to number 3 school with his son Alan who tragically died when he was around 10/11 years of age. 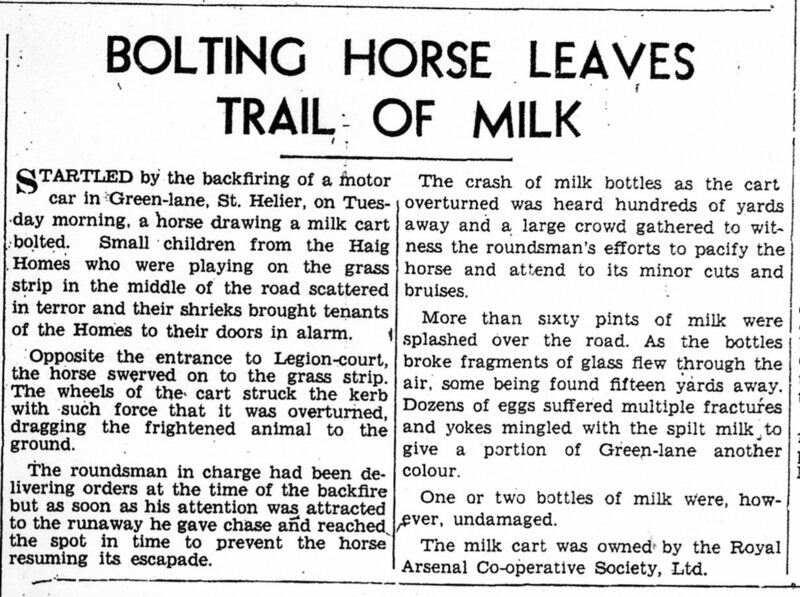 The beauty of the horse was that it moved along slowly and kept up with the milkman so you didn't have to keep going back with the empties etc. unlike when they brought in the electric carts. Also everybody loved the horses especially us kids so we were very sorry to see them go. 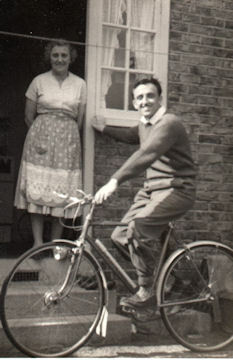 Jack Port was Bert Mccrees brother-in-law, my Mum's brother. At the start of the war my mother ran the servery at the Morden depot.Three of her other brothers also were at one time milkmen, although not all at Morden Depot. Bert Mccree and Jack Port were Brothers-in-law, Bert was married to Jacks sister, and Bert was my Dad, but I don't remember him when he had horses, only the electric milk float and I used to go out and help during the holidays. In the late 1940's I used to help a milkman with a horse drawn cart out of the Co-op from the dairy in William Street. We had a great white horse, Snowy, we would start the round at Acre Lane, Wallington early on Sat. morning go all around various roads in Wallington, end up coming down Manor Road turn left back along Acre Lane, some times stopping, now about lunch time, to collect an outstanding payment. The milkman would leave me on the cart while he collected the money ad the horse was anxious to get home would rear up on it's hind legs, always frightened me, I tell you when you are about 11 years old that horse on it's hind legs was massive.